Indoor Cables can be successfully used for pach cord / connector / jumper fiber with 9/125渭m Fiber,50/125渭m Fiber,62.5/125渭m Fiber,100/140渭m Fiber,Single Fiber,Multimode Fiber. Tight buffer fiber strengthened by aramid yarn with a flexible outer jacket. �� 桅900um or 桅600um tight buffer fiber, semi-tight buffer fiber also available. �� Nominal outer jacket diameter from 2.0mm to 2.9mm. �� PVC or Low Smoke Zero Halogen (LSZH) is available as jacket material. �� Color coding complied with TIA/EIA-598-B. �� Ideal for direct terminated with various types of connectors. �� Rugged construction for indoor installations. Figure 8 Zip cord construction consists of 2 single-fiber cable. Optical fiber with tight buffer, or semi-tight buffer. �� Polyester elastomer, LSZH, PVC, modified Polypropylene or Nylon-12 are available as buffer material. �� Semi-tight buffer fiber can be easily stripped off 1 meter long. �� For use of producing various types premises fiber optic cable. �� Can be terminated with standard connectors. 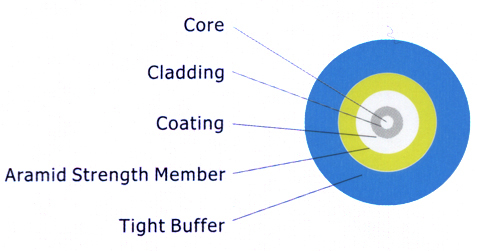 �� Specialized tight buffer fiber is ideal for fiber sensor systems. Optical fiber surrounded by aramid strength member, and a PVC tight buffer. �� Enhanced tensile strength by aramid surrounding bare fiber. �� PVC tight buffer in 桅900um outer diameter. �� Ideal for use in optical device, equipment which requires high tensile performance. �� 桅900um tube can use PVC, modified PP, polyester elastomer materials. 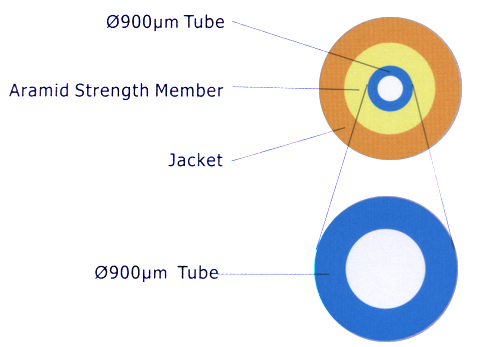 �� Also available 桅900um tube surrounding by aramid yarn and 桅2.9mm or 桅2.0mm jacket. �� For use in optical communication apparatus, equipment, to protect bare fiber. 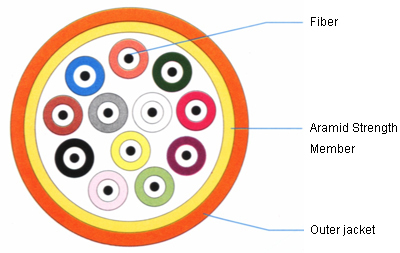 Distribution cable consists up to 12 tight buffer fiber strengthened by aramid yarn, and protected by an outer jacket. �� Small form factor, high performance with lower cost. �� 桅900um tight buffer fiber, semi-tight buffer fiber also available. �� SZ stranded cable core for better transmission performance. �� Ideal for installation in indoor, LAN, and distribution networks. �� Can be terminated with various types of connectors. Elastomer tight buffer fiber strengthened by aramid yarn with a flexible elastomer outer jacket. �� Ideal for fiber optic sensor network for detecting temperature and strain. 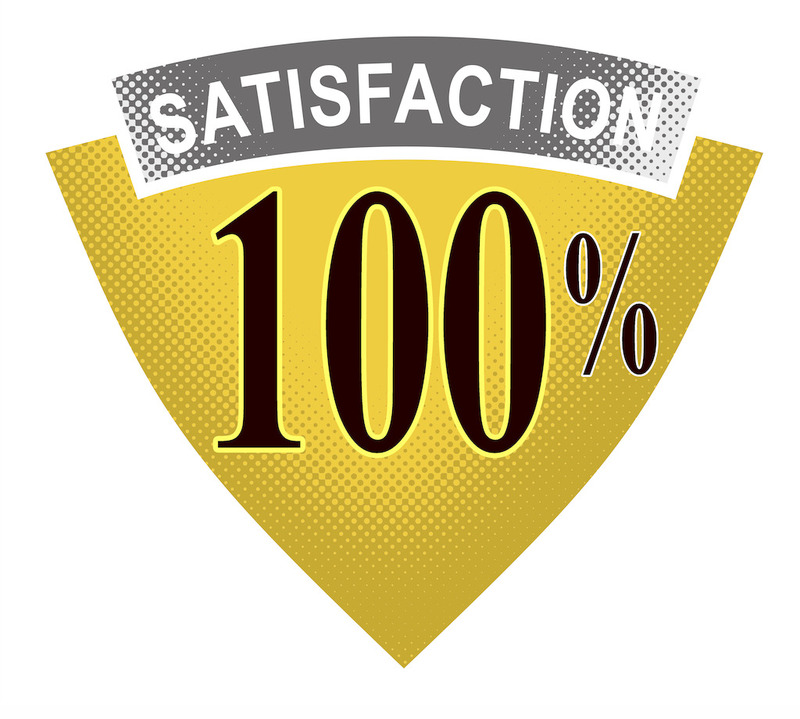 �� Compatible with various standard connectors. �� Rugged construction for wide range temperature indoor installation. 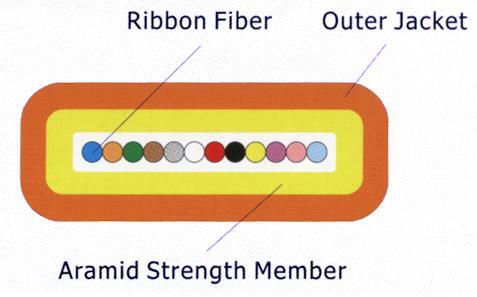 Standard color coded ribbon fiber strengthened by aramid yarn protected by a flexible outer jeacket. �� Up to 12 fiber count. �� Small form factor, high density.